Youth and Family Counseling Service in Westfield launches program that offers military personnel and their families low-cost mental health care. Reception honoring Cornerstone members of the Westfield Foundation. 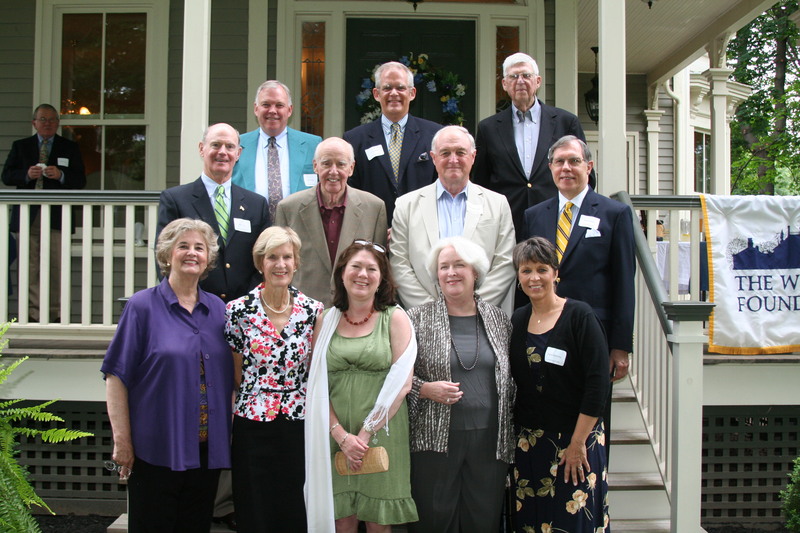 Westfield Foundation Cornerstone members gather for a reception in their honor at Reeves House in Westfield. Two interns have returned to the Youth Services department of the Westfield Memorial Library, thanks to help with funding from the Westfield Foundation. The Westfield Foundation provides non-profit and civic organizations with financial assistance to provide summer employment to area students. Betsy Goellner and Scott Thien, who were library interns last summer, are assisting children and parents with the Summer Reading Clubs through the end of August. They sign up children who can read on their own for “Dream Big: Read,” and they sign up youngsters who cannot yet read for the “Little Listeners Club.” The interns help the members manage their reading minutes and exchange them for prizes such as books, T-shirts and wrist bands as well. They also shelve books and make copies of hundreds of reading lists for these very popular reading clubs throughout the summer. Betsy, is a sophomore at Arcadia University in Pennsylvania, is majoring in Early Childhood Education and minoring in Japanese. She said that she learned a great deal observing third through fifth graders and their teachers in the classroom as part of her education curriculum, as well as learning to read and write the 26 characters of the Japanese alphabet. In addition to pursuing her studies during freshman year, she became Secretary for the Society for Castle Restoration. This organization raises money to help preserve what Betsy described as “the beautiful, antique stone castle on campus” through fundraising events, such as historical speakers and haunted castle nights. She also became a member of People for Animal Welfare and helped care for dogs that are being fostered while awaiting new homes. Prior to entering college, she tutored children here at the Westfield Memorial Library in second and third grade math and English through the Homework Helpers program, and she was involved with the Summer Reading Club at night. Scott, a junior at Vassar College in New York, is a psychology major with a minor in music. Currently a member of a band called “His Name is Jack,” he plays percussion, piano and is learning the guitar. The band is working on recording their own music and making some connections for gigs next year. This past year he was also a peer listener in the Campus Listening Center where he helped other students deal with academic stress, depression and other problems over the telephone. He said that the experience was invaluable as he is considering working in the field of counseling. Like Betsy, he also has experience working with children. He served as a teacher’s aide at his temple, teaching Hebrew and Bible studies, and he has also been a special education shadow there. Nineteen graduating seniors were presented with a total of $84,000 in college scholarships at Westfield Rotary Club Foundation’s Annual Scholarship Luncheon held at Westfield Area YMCA on June 5. Westfield Public Schools Superintendent Dr. Margaret Dolan and high school principal, Peter Renwick, were honored guests June 5 as the Westfield Rotary Club Foundation presented 19 local college-bound students with scholarships totaling $84,000 at the organization’s annual Scholarship Awards Luncheon held at the Westfield Area YMCA. Liz Ensslin, chairman of the foundation’s scholarship committee, presided over the scholarship presentations in collaboration with the selection committee comprised of Rotarians Nancy Jackson, Marcus Millet, Mary Ellen O’Boyle, Lowell Schantz, Margaret Subhas and Dr. Elaine Swingle. Criteria for consideration, according to Ensslin, are based on academic achievement, service to the community and financial need. Recipients must be residents of the town who are graduating seniors enrolled in an accredited high school. On behalf of The Westfield Foundation, two top scholarships were awarded in memory of Charles and Florence Wallace totaling $15,000 each to be paid over the course of four years. They went to Jason Isbit who will attend the University of St. Andrews in Scotand and to Rory Fitzpatrick who will attend Princeton University. A $10,000 scholarship honoring Westfield Rotarians Living and Deceased was awarded to Keyanna Simmons who will attend Howard University. A scholarship in Memory of Rotarian Harry Sturcke valued at $5,000 went to Katrina Kudick who will attend the University of Southern California. A Sturcke scholarship combined with one in Memory of Linda Read for a student preparing for a career in the health sciences totaling $5,000 was presented by Pamela and David Read to Michael Mondon who is going to the University of Rochester. Jason Qin also received a $5,000 combination of Sturcke and Linda Read memorial scholarships. He will attend Princeton University. 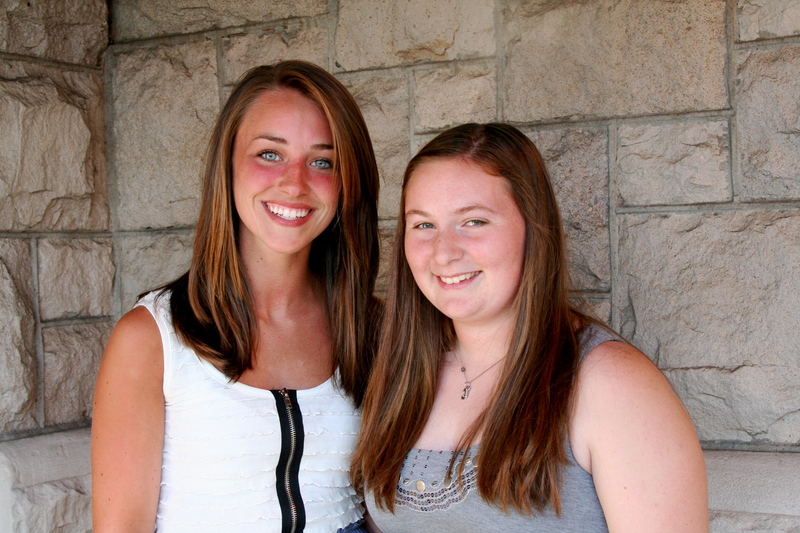 Alexandra Jason was presented with a $3,000 Linda Read scholarship; she will attend Oberlin College. The Winifred and Robert Read Law Scholarship was presented by Ms. Read and Mr. Read to Kathryn Fazio who will attend Rutgers University. She receives $3,000. Matias Werner will attend Cornell University and received $2,000 from Rotary in Memory of Weyman Steengrafe. The $2,500 Scholarship in Memory of Chester A. Gerdes, a fund managed by the Westfield Foundation, was presented to Sarah Chandler who will attend Colgate University. Kavita Mehta, who will attend Carnegie Mellon University, and Madeline Chandler who will attend Dickinson College each received $2,500 Sturcke scholarships. Wallace $2,500 scholarships were awarded to Kevin Ingram, who is headed for The College of New Jersey, and to Thomas Wolski who will attend Ramapo College. John Kirna, who is going to Bucknell University, received $2,500. Sarah Ramire, who will attend Providence College, received $2,000 honoring Rotarians Living and Deceased. Leonides Tolias received the $1,500 Scholarship in Honor of Emerson Thomas and will go to Princeton University. Receiving $1,500 scholarships in Honor of Rotarians Living and Deceased were Zachary Goldfarb, who is going to Rutgers University and Markian Borkowsky for Boston University. WESTFIELD — The Westfield Foundation, our community foundation, continues to work to enhance the quality of life for Westfield and its neighboring communities. Foundation Trustees recently selected the grant recipients for the first quarter of 2012.The Foundation granted over $45,110 to 7 local programs and projects benefiting all segments of Westfield and surrounding communities. These grants will be used for such projects as a respite care for Alzheimer family members, repair of park benches, musical performance support, purchase of land and materials for affordable housing for people in need. The Westfield Foundation favors grants for programs or projects, which focus primarily on the community of Westfield or groups serving the Westfield community. The areas of focus include education; the arts and other cultural activities; civic, health and human services; community development; and the conservation and preservation of historical resources. This quarter’s recipients include: Habitat for Humanity, Alzheimer’s Association, Imagine Inc., Oratorio Singers of Westfield, 117th Calvary Association, Friends of Mindowaskin Park and the Westfield Symphony Orchestra. The Westfield Foundation started with an initial donation of $2,000 over 35 years ago. The Foundation’s funds are professionally invested and the income generated is granted to carefully screened applicants throughout the year. The Foundation has distributed over $4 million since its inception. Tax-deductible donations made by local residents allow the Foundation to keep thriving and giving back right at home in Westfield. Imagine serves children age 3-18 coping with loss due to the death of a parent or sibling, and their parents or guardians. Direct service in the form of peer support groups is made available through the time and dedication of community volunteers who attend a 32- hour training to becoming facilitators and who commit to one-year of service. The March training class is full. The next training classes are in August and November. Foundation announces 4th quarter grant recipients. 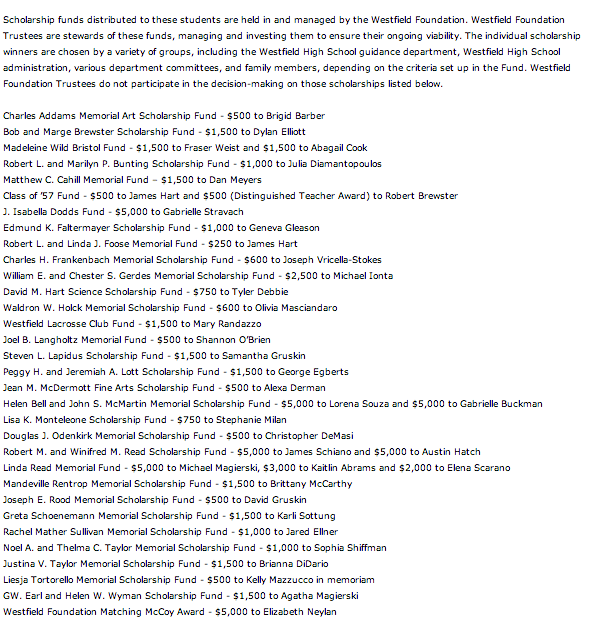 Foundation Trustees recently selected the grant recipients for the fourth quarter of 2011. The Foundation granted over $34,500 to 7 local programs and projects benefiting all segments of Westfield and surrounding communities. These grants will be used for such projects as a suicide intervention-training program, therapy for victims of domestic abuse, counseling for children with limited access to mental health care, and specialized car seats and computer equipment for disable children. The Westfield Foundation favors grants for programs or projects, which focus primarily on the community of Westfield or groups serving the Westfield community. The areas of focus include education; the arts and other cultural activities; civic, health and human services; community development; and the conservation and preservation of historical resources. This quarter’s recipients include: CONTACT We Care, Kean University (Premier Stages), YWCA Eastern Union County PALS program, Children’s Specialized Hospital Foundation, Youth and Family Counseling, Westfield Community Players, and Jewish Family Services. 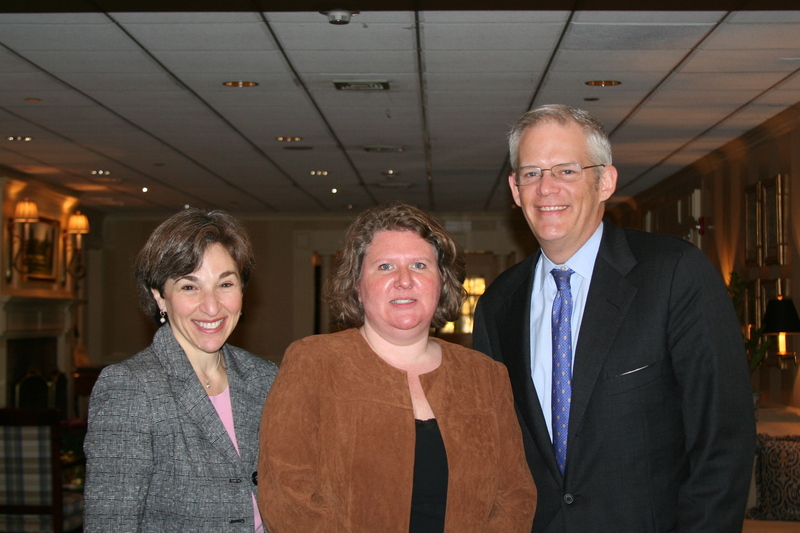 The Foundation hosted their 10th annual Cornerstone Breakfast at Echo Lake Country Club in Westfield. 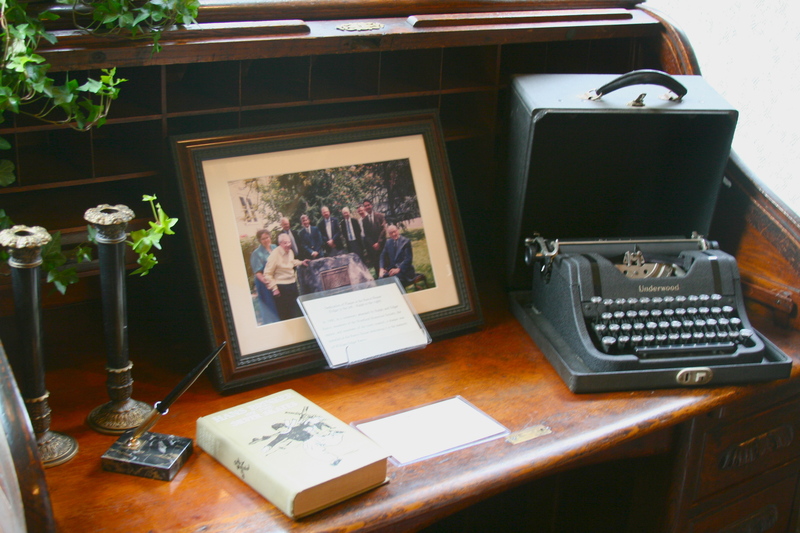 The Cornerstone Society is composed of former trustees to the Foundation. The breakfast serves as a venue to keep the former trustees apprised of the Foundation’s current work. Representatives from Literacy Volunteers of Union County spoke this year to the assembled trustees about the impact of the funding for their program. L-r: Arlene Klemow, Development Director, Elizabeth Gloeggler, Executive Director of Literacy Volunteers of Union County, and Anthony J.R. Cook, President of the Foundation. 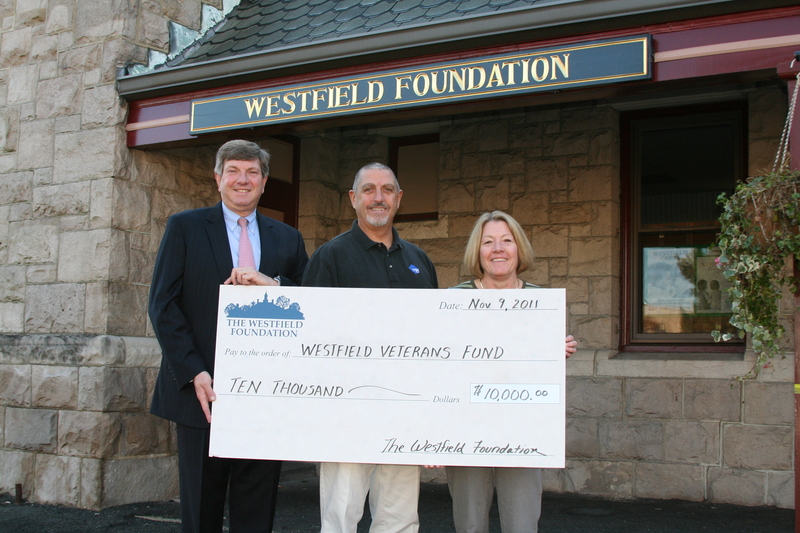 Representatives from the Westfield Foundation presents a ceremonial check to the Westfield Veteran’s Fund. (l to r): Rick Coltrera, Westfield Foundation Trustee, Keith Gibbons, Westfield Veteran’s Fund and Betsy Chance, Executive Director of the Westfield Foundation. 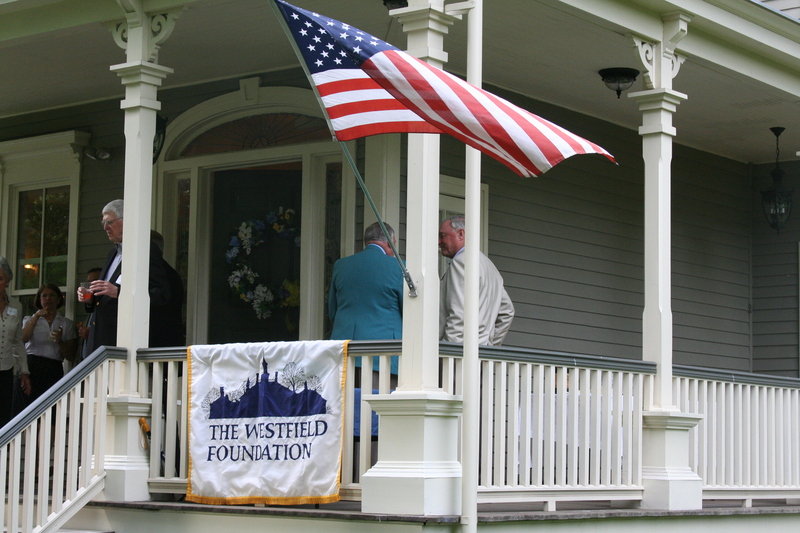 Westfield – The Westfield Foundation has awarded a grant of $10,000 to the Westfield Veterans Fund, a new non-profit corporation dedicated to charitable work that benefits veterans of Westfield. The funds will be used to erect and maintain a Vietnam War memorial commemorating the service of residents of Westfield in the Vietnam War. The Westfield Veterans Fund will also provide assistance and support for all war veterans and their families in the Westfield area. Westfield – Foundation Trustees recently selected the grant recipients for the third quarter of 2011.The Foundation granted over $29,000 to 5 local programs. These grants will be used for such projects as a sing-a-long and music appreciation program for seniors, replacement of old computers and printers at Westfield High School, the 50th anniversary celebration program of a choral society and a newly proposed Vietnam Memorial in Westfield honoring the 11 residents who died in Vietnam. This quarter’s recipients include: The Westfield High School Fed and Euro Challenge Team, the JCC of Central NJ, the Choral Art Society of NJ, HomeFirst and the Westfield Veterans’ Fund. 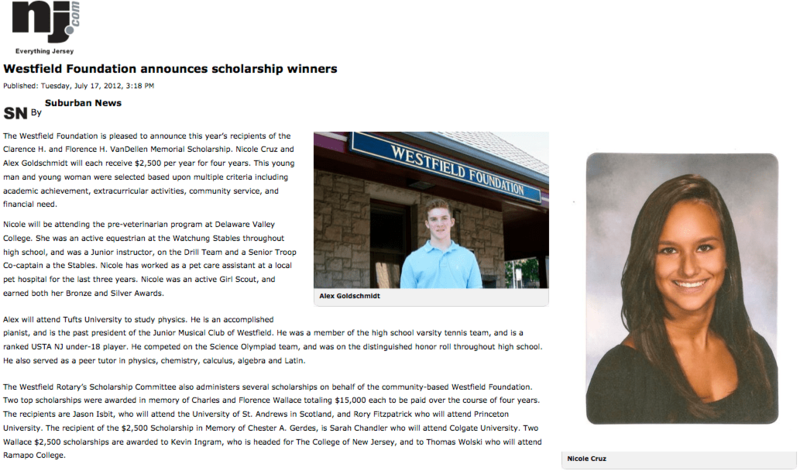 The Westfield Foundation is pleased to announce this year’s recipients of the Clarence H. and Florence H. VanDellen Memorial Scholarship to Adrian Bizzaro and Rebecca DeLaFuente. This young man and young woman were selected based upon multiple criteria including academic achievement, extracurricular activities, community service, and financial need. Each recipient will be awarded $2500 for four years. Adrian Bizzaro, a Westfield student, is a graduate of Westfield High School. Adrian excelled in track and earned varsity letters in Cross-Country and track. Adrian also excelled academically, including being an AP Scholar, member of the National Honor Society and was ranked in the top 10% of his graduating class. Adrian is fluent in two languages, English and Spanish, and studied French and Mandarin Chinese. Adrian is currently studying engineering, with a career interest in aero-space engineering, at Rice University in Houston,TX. Rebecca DeLaFuente, a Westfield resident, is also a graduate of Westfield High School. Rebecca was a standout swimmer at Westfield High School all four years at the High School. She was ranked in the top 55 nationally in 4 swimming events and holds county, state and school records. She earned four varsity letters as a swimmer and was the first to break the one-minute barrier in the 100-butterfly, breaking a 28-year old school record. Academically, Rebecca is a USA Swimming Scholastic All-American, AP Scholar, Ventures Scholar, National Hispanic Scholar, Bloustein Scholar, and a member of the National Honor Society. 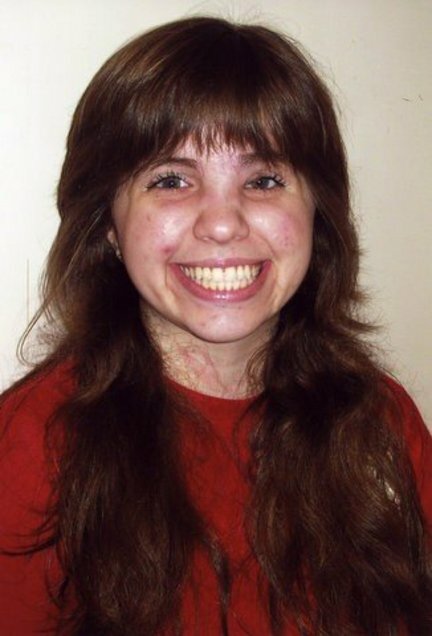 Rebecca was a swimming instructor with the Special Olympics and the Elizabeth Coalition to House the Homeless. Rebecca is currently studying biology at Yale University in New Haven, CT. Rebecca is a member of the Yale swim team. Bill Foley, Foundation Trustee, receives a check from Mary Francis Smith, co-executor of Ms. Hoffart’s estate. 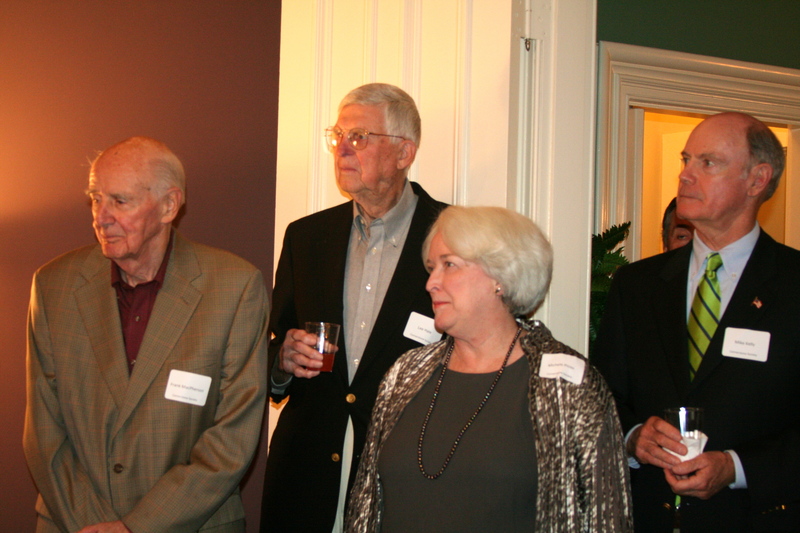 Pictured (from left, front) Bill Foley, Mary Francis Smith, Heidi Dillenbeck (godchild of Ms. Hoffart); (back) Thomas C. Phelan, former Trustee of the Westfield Foundation and counsel to the executors; Arthur McConville, co-executor. WESTFIELD — The Westfield Foundation announced a new fund has been established to help those in need in the Westfield area. The new fund, the Irna Wagner and Lydia Hoffart Fund, is made possible through the generous donation of Ms. Hoffart to the Foundation upon her recent death. Lydia Hoffart, a longtime resident of Mountainside, passed away in March 2011.Under her will, Ms. Hoffart left her residuary estate to the Westfield Foundation to establish the Irna Wagner and Lydia Hoffart Fund. Ms. Wagner was the sister of Ms. Hoffart. Ms. Hoffart specified how these funds should be allocated for distribution: 35% of the annual income will be used as follows: 20% to the Community Presbyterian Church in Mountainside; 15% to Center for Hope Hospice; and the remainder of the income is to be used by the Westfield Foundation trustees to assist charities in Union county serving senior citizens, such as Contact-We-Care, Meals on Wheels, and the Visiting Nurse. All gifts made by the trustees will be made in the name of Irna Wagner, who at one time was President of the county senior citizens organization.The Westfield Foundation continues their commitment to Westfield and the surrounding community. The Westfield Foundation granted almost $107,000 in funds to various programs and projects in the second quarter. These grants included ongoing commitments as well as new grants for such projects as the support of a spring theatrical production, counseling and emergency aid for families whose children have cancer, and the production of an educational documentary.The second quarter recipients include: Summer Youth Employment, McCoy Scholarship, Westfield Rotary, Overlook Hospital Foundation, Emmanuel Cancer Foundation, Furniture Assist, Westfield community Band, Autism Family Times, Rutgers Master Gardeners, Hedgehog and Feather Theatre Co., Literacy Volunteers of Union Co., the Community Players, Elizabeth Coalition for the Homeless, and the Streetlight Mission.The Westfield Foundation is committed to supporting the youth of our area. The Foundation shows ongoing support for such programs as Summer Youth Employment, which received a $16,500 grant to be used for their summer job program. The Westfield Rotary received $35,000 in funds via the Charles F. and Florence M. Wallace Fund, which was established in 1981. These monies are then distributed to deserving seniors in Westfield in the form of scholarships. WESTFIELD — The Westfield Foundation continues to work to enhance the quality of life for Westfield and its neighboring communities. In 2010, the Foundation granted $240,000 to over 35 programs and projects benefiting all segments of Westfield and surrounding communities. The Westfield Foundation favors grants for programs or projects, which focus primarily on the community of Westfield or groups serving the Westfield community. The areas of focus include education; the arts and other cultural activities; civic, health and human services; community development; and the conservation and preservation of historical resources. In 2010, 8% was allocated to the Arts, 31% to Education, 29% to Health, and 32% to Social Services. Grant recipients included: the Temple Emanu-El I Have a Dream Foundation, SAGE Eldercare, Oratorio Singers of Westfield, Westfield Volunteer Rescue Squad, 102nd Cavalry Family Readiness Group, Westfield Neighborhood Council and Good Grief. In January, The Westfield Foundation completed their annual winter appeal with contributions exceeding $36,000 from Westfield and surrounding community members. These generous contributions resulted in the highest appeal amount since 2000. Additionally, in 2010, more than $80,000 was donated into individual family funds held at the Foundation. The Foundation is a turn-key solution for individuals and families who want to leave a legacy in the community. Funds can be established in the family name, allowing contributions to have a long-term impact that will continue to meet community needs indefinitely. 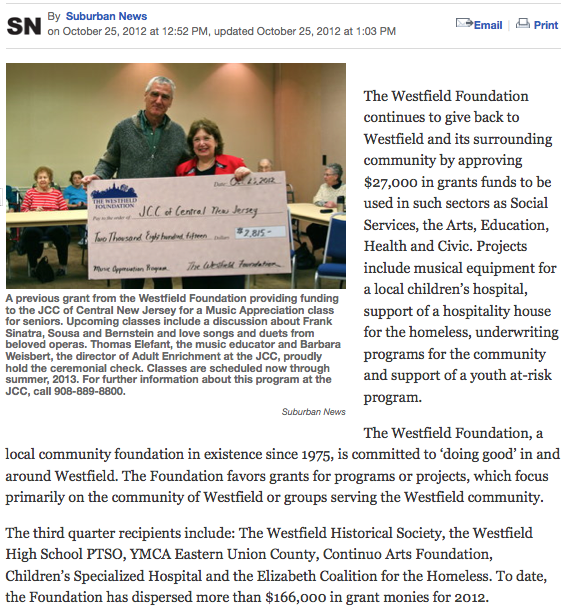 For the first quarter 2011, the Westfield Foundation granted more than $59,000 in funds to 10 programs or projects. These grants included the installation of a closed circuit television system for senior housing, respite care for caregivers of Alzheimer patients, and improvement to a local historical site. This quarter grant recipients include: Habitat for Humanity, Westfield Senior Citizens Housing, Center for Hope Hospice, Westfield Symphony Orchestra, Masonic Learning Center, CONTACT We Care, Miller Cory House Museum, Alzheimer’s Association, Oratorio Singers of Westfield, and the Westfield Public Schools. The Westfield Foundation started with an initial donation of $ 2,000 over 36 years ago. The Foundation’s funds are professionally invested and the income generated is granted to carefully screened applicants throughout the year. The Foundation has distributed over $4 million since its inception. The Foundation strongly believes people who can help other people are the luckiest people in the world. 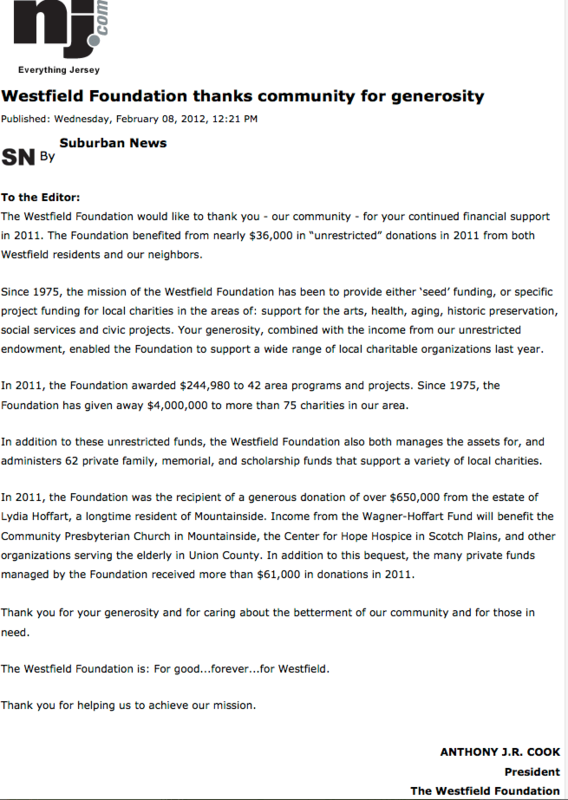 The Westfield Foundation would like to thank our community for its near unprecedented financial support in 2010. 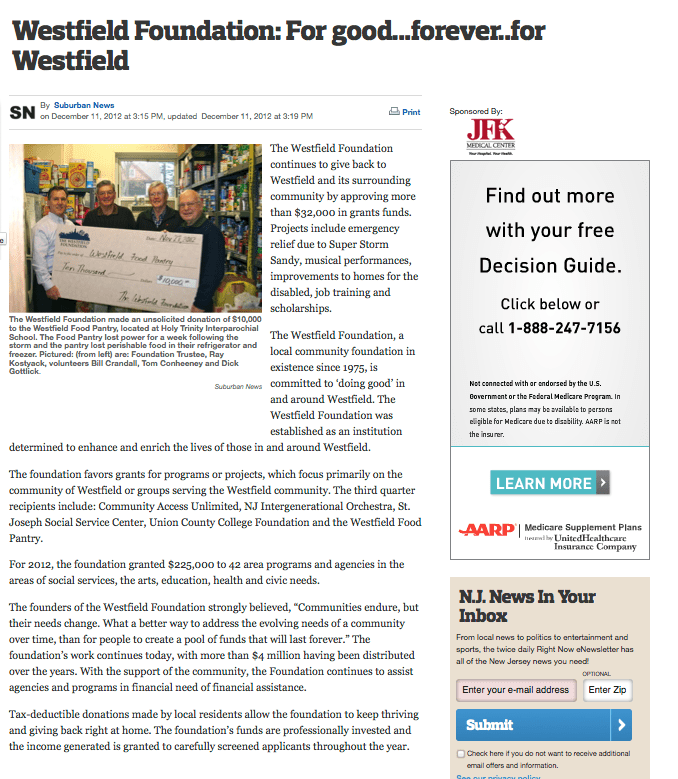 The Foundation, which relies on the generosity of many for the support of a wide range of worthwhile charitable organizations in and surrounding Westfield, received from a generous Westfield area community nearly $37,000 in “unrestricted” donations in 2010, an increase of $10,000 (37%) over 2009. In addition to these unrestricted funds, the Westfield Foundation both manages the assets of and administers more than 60 restricted private family foundations that support a wide variety of local charities. These private foundations that we look after also received nearly $83,000 in donations in 2010. Since 1975, the mission of the Westfield Foundation has been to provide either “seed” funding, or specific project funding for local charities in the areas of support for the arts, health, aging, historic preservation, social services, and civic projects. In 2010, the Foundation awarded $220,000 to 35 area programs and projects. Since 1975, the Foundation has given away $4,000,000 to more than 75 charities in our area. Thank you for your generosity and for caring about the betterment of our community and for those in need. WESTFIELD — The Westfield Foundation, originally founded to be a turnkey solution for individuals who want to leave a legacy in the community, is pleased to announce their recent grant recipients for the fourth quarter of 2010. The Foundation granted over $31,000 to five local programs and projects. These grants will be used to purchase new stretchers, an aquatic access life chair, and fund a crisis intervention program for teens at risk. This quarter’s recipients include: Youth & Family Counseling Services, The Westfield Y, Good Grief, Continuo Arts Foundation and the Westfield Volunteer Rescue Squad. The Foundation is currently conducting its annual campaign. Your fully tax-deductible donation allows the Foundation to continue to grow their endowment, while utilizing the income for their grants program. In this way, your gift will continue to give back to the community for many years to come. The Foundation is also a resource in which community members can leave a permanent legacy for a favored philanthropic interest in the community. Funds can be established in the family name, allowing contributions to have a long-term impact that will continue to meet community needs indefinitely. The Westfield Foundation started with an initial donation of $ 2,000 over 34 years ago. The Foundation’s funds are professionally invested and the income generated is granted to carefully screened applicants throughout the year. The Foundation has distributed over $4 million since its inception. Westfield – The Westfield Foundation, our community foundation, continues to work to enhance the quality of life for Westfield and its neighboring communities. Foundation Trustees recently selected the grant recipients for the third quarter of 2010. The Foundation granted over $22,000 to 5 local programs and projects benefiting all segments of Westfield and surrounding communities. These grants will be used for such projects the composition of 100th anniversary musical piece, community education and outreach, and nursing equipment and CPR and first aid training. This quarter’s recipients include: the Westfield Community Band, YWCA Eastern Union County, Union County College Foundation, Jewish Family Services and HomeFirst. Officers of the Foundation for 2010-11 are Anthony J.R. Cook, President; Bill Foley – Vice-President; Victoria Wicks, Treasurer; and, Donnell Carr – Secretary. New trustees for 2010 – 11 are Sal Caruana, Alice S. Fertig and Russ Finestein. 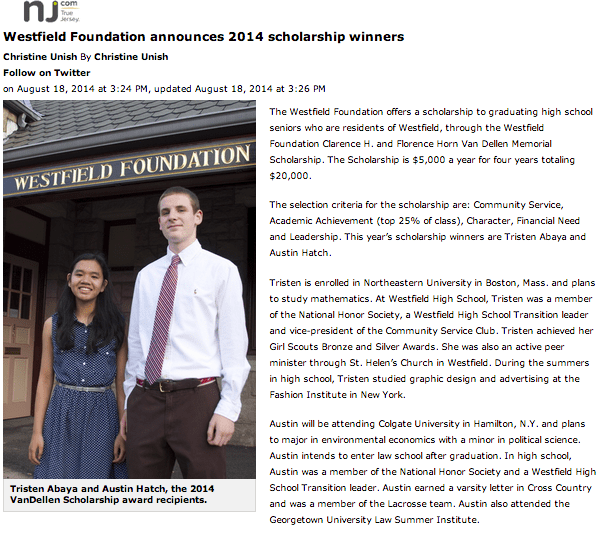 Westfield – The Westfield Foundation has announced this year’s Foundation college scholarship recipients, Jessica Mondon and Patricia Whitehead. These two young women were selected based upon multiple criteria including academic achievement, extracurricular activities, community service, and financial need. Each recipient will be awarded $2500 for four years. Jessica Mondon, a Westfield resident, is a graduate of Westfield High School. Jessica competed on the softball and basketball teams, was a member of the Science Olympiad team, participated in Model UN and founded “Hoping for Health”, a club at WHS where the students raised money for Childrens’ Specialized Hospital. Jessica will be attending Colgate University in Hamilton, NY. Patricia Whitehead, also a Westfield resident, is a graduate of Mount Saint Mary Academy in Watchung, NJ. Patricia competed nationally and internationally in Irish dance, was a member of the cross-country and track teams, involved in Peer Ministry, and volunteered with the Special Olympics and the Community Food Bank. Patricia will be attending the College of the Holy Cross in Worcester, MA. WESTFIELD — The Westfield Summer Workshop, a division of the New Jersey Workshop for the Arts, has selected Christine Clark to be the recipient of the Summer Youth Employment Grant from the Westfield Foundation. The purpose of this grant is to enable a student in the community the opportunity to develop work place skills and expand his or her job opportunities. 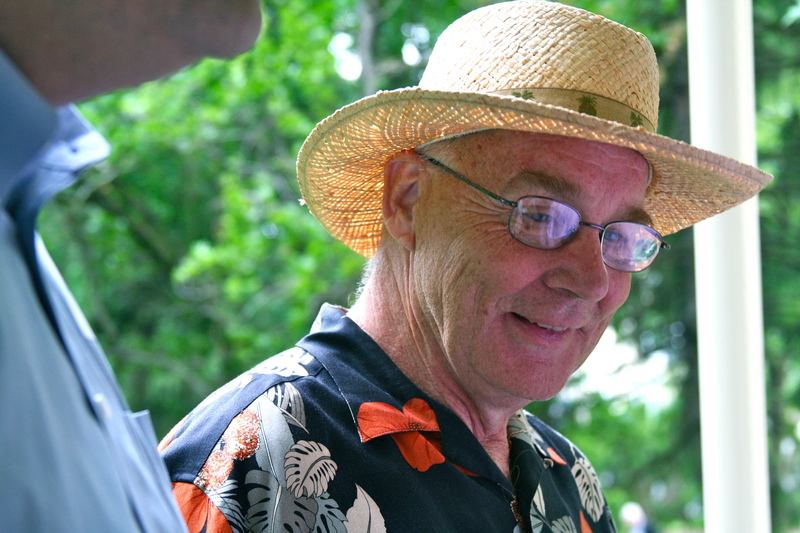 Clark is working at the Westfield Summer Workshop as a classroom aide in several arts and crafts courses. In the afternoons, she assists the WSW office staff members with their clerical duties and expands her knowledge of the inner workings of the office. 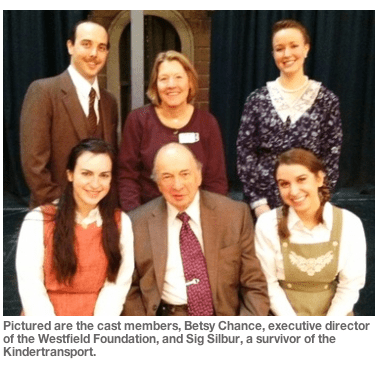 She also assists with public relations aspects related to the theater production. A 2009 graduate of Westfield High School, Christine is currently attending Georgian Court College, where she will be a sophomore in the fall semester. Christine is currently working in her fifth year at the Westfield Summer Workshop. She feels honored to be the recipient of the Westfield Foundation Grant and is looking forward to an exciting and fulfilling summer. SUMMIT – The Thomas Glasser Caregivers Center at Overlook Hospital is another step closer to becoming a reality, thanks to a $50,000 grant from the Westfield Foundation to the Overlook Hospital Foundation. Mr. Glasser was killed on 9/11. The grant, to be paid over five years, will be used to help develop a Caregivers Center that will provide free therapeutic support for families trying to manage the emotional, physical and financial stress of caring for a loved one during hospitalization and treatment. 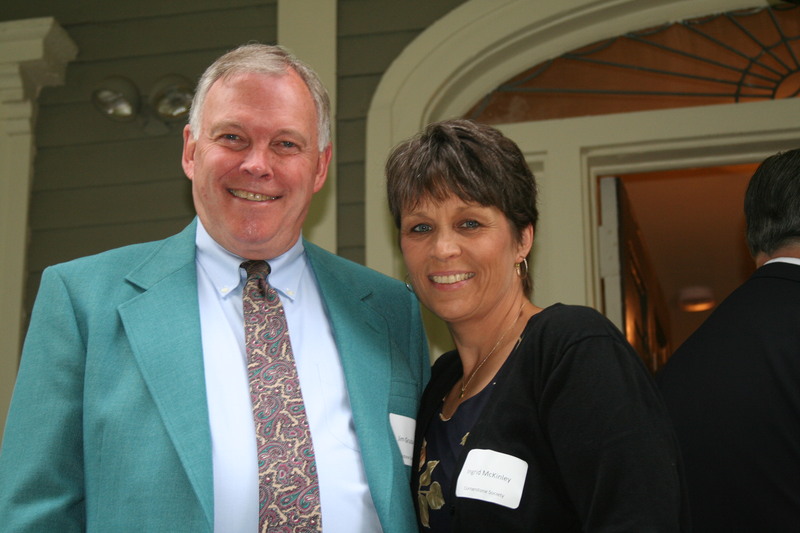 Westfield resident Claude Fusco helped spearhead the development of the Caregivers Center and pledged a leadership gift to the project after losing his wife, Kathryn, to cancer three years ago. To date, more than $2 million has been raised to create and endow the center’s social sup- port programs and to construct a dedicated space adjacent to the hospital’s main lobby this fall. The Caregivers Center will pro- vide support groups and counseling services; pastoral care services; referrals for financial support, home- based services and community pro- grams, and a resource library – free of charge – for all caregivers whose loved ones are admitted to Overlook. The Overlook Hospital Foundation raises funds that are used to purchase state-of-the-art equipment and fund special programs to help Overlook, a regional not-for-profit medical center, remain on the fore- front of care. All gifts to the Overlook Hospital Foundation are tax-deductible and remain at Overlook. For further information about the Caregivers Center or how to become a Friend of Overlook Hospital, call the Overlook Hospital Foundation at (908) 522- 2840 or visit overlookfoundation.org. 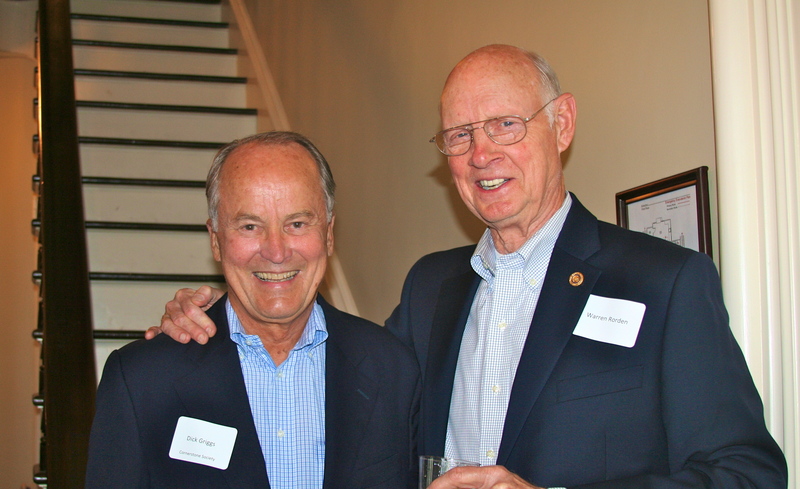 The Westfield Foundation reorganized last Tuesday welcoming in a new president and thanking the outgoing president for his years of service. The group’s 35th annual meeting, held at Temple Emanu-El, was the last presided over by Charles Kroloff, the foundation’s president for the last six years. Kroloff is the rabbi emeritus of Temple Emanu-El, having served 36 years as the temple’s rabbi before retiring in 2002. The foundation serves two functions. The group presents grants to non-profit groups in town from its own treasury and also serves as a holding foundation and investment arm for other non-profit groups in the Westfield community. During the meeting two of the previous grant recipients presented a short piece on their organizations and the things they were able to do with the help of the grants they received. 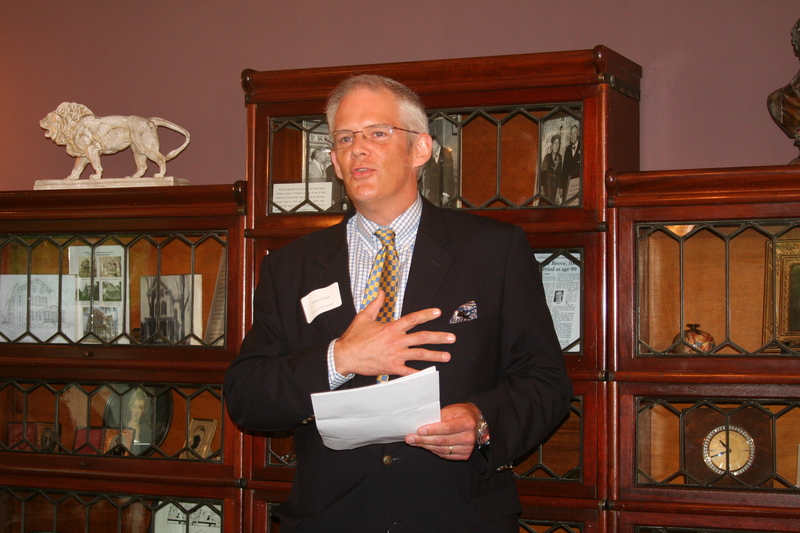 One of the organizations was Jewish Family Services, represented by executive director Tom Beck. Beck briefly explained what the organization does. The organization has two main branches: senior services and family and children. For senior services they provide a wide range of homecare services including nursing and personal care transportation for frail, elderly people. Family and children’s services include counseling, adoption work, and after-school programs. The organization has used foundation grant money for nurses in their elder care, to support a Safety in the Home Project which prevents falls in the home, and to hire a child psychiatrist. All of the things which the grant money was put towards are still in use and are being put to good use by the organization’s users. The other grant recipient presenting was the Master Gardeners, which was represented by T.J. Karns, Madeline DiNardo, and Deb Naha. The Master Gardeners are volunteers who have been trained by Rutgers Cooperative Extension in horticultural topics. There have been about 700 graduates of the program and there are currently approximately 220 active members. These volunteers organize and run a large variety of activities. They have a 1.5 acre demonstration garden at Trailside Nature and Science Center in Watchung Reservation. This garden includes a “sharing garden” where fruits and vegetables are grown and then donated to the NJ Food Bank. This garden is not only tended by Master Gardener volunteers, but Bar Mitzvah candidates, Scout groups, and camp groups also sometimes come to help out and learn about gardening. Also in the demonstration garden there is a Cutting Garden, where all the flowers grown are cut and given to patients being treated for cancer. The organization also runs a help line where citizens can ask the trained volunteers any questions they may have about gardening. The organization has received three grants from the Westfield Foundation. One of these was used to purchase a laptop and projector so that they could more effectively conduct outreach. 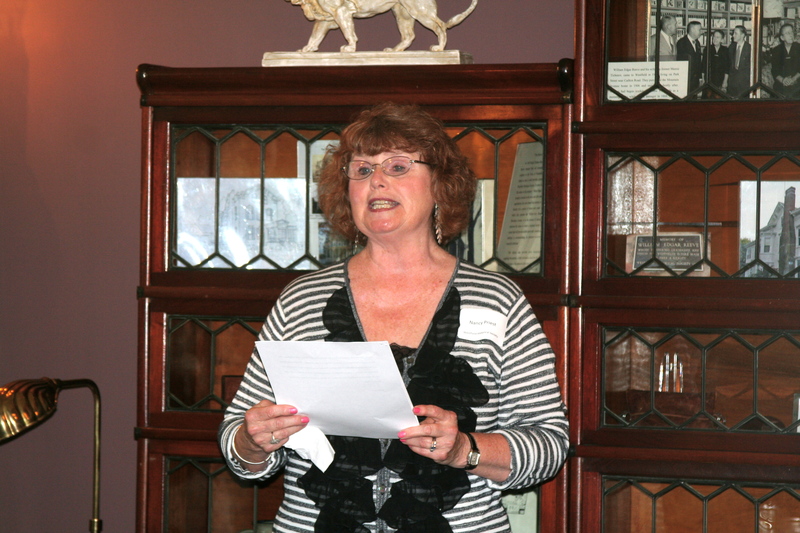 The audience was given a chance to hear a briefing on the foundation’s finances. This was given by Tony Cook, who moved from the foundation’s vice presidency to presidency during the meeting said he believes the foundation is on sound fiscal footing and praised the work of the members. Betsy Chance, the foundation’s executive director explained the governance changes coming to the foundation including the departure of three trustees. The departing trustees are Lois Healy, Warren Hanscom and Kroloff. These members were thanked for all their hard work and were assured that they would be missed. His main goal over the next two years as president is to make the Foundation more known to the public. He then had the pleasure of welcoming three new members to the board: former Councilman Sal Caruana, Alice Fertig, and Russ Finestein. 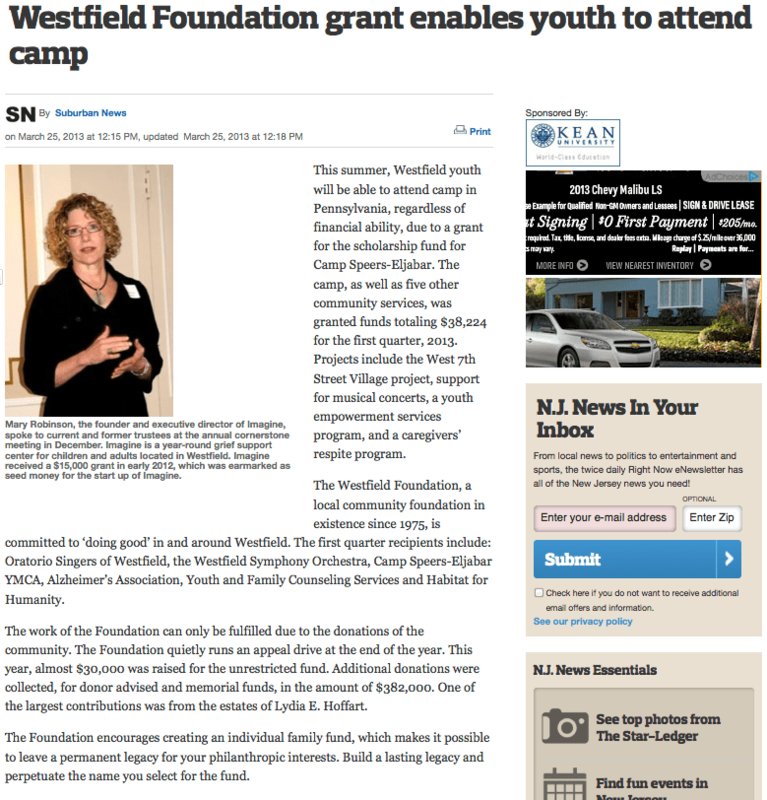 WESTFIELD — The Westfield Foundation, a non-profit foundation whose mission is to promote the betterment of Westfield and its surrounding communities, has announced their first quarter grants for 2010. 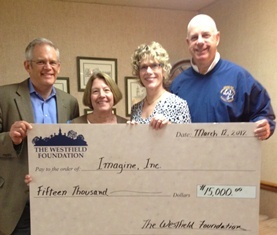 The Foundation granted more than $47,000 to nine programs and projects benefiting all segments of Westfield. These grants included the purchase of wheelchairs and special scales for hospice patients, respite care for caregivers of Alzheimer’s patients, fencing for a community garden and funding towards a series of family-focused musical events. Recipients include: Habitat for Humanity, Center for Hope Hospice, Alzheimer’s Association, I Have a Dream Foundation, Rutgers Master Gardeners of Union County, Sage Eldercare, NJ Workshop for the Arts, Oratorio Singers of Westfield and Westfield Symphony Orchestra. WESTFIELD FOUNDATION GRANTS—The current and former presidents of the Westfield Foundation were present at the annual Cornerstone Breakfast held at the Echo Lake Country Club. Pictured, (front, from left) Current president, Charles A. Kroloff; previous presidents: David Owens, Gail Cassidy, Michele Picou and Barbara Doyle Frantz; (back) Lee Hale and Gerry Glasser. WESTFIELD — The Westfield Foundation, a non-profit foundation whose mission is to promote the betterment of Westfield and its surrounding communities, has announced their fourth quarter grants and final year end review. The Foundation granted more than $247,000 to 36 programs and projects benefiting all segments of Westfield and surrounding communities in 2009. The fourth quarter grants totaled $21,850. These grants will be used for such projects as after school counseling for children, summer theater camp, wellness education programs, and musical performances in Westfield. Recipients included Youth & Family Counseling, NJ Intergenerational Orchestra, Premier Stages (Kean University), Trinitas Health Foundation, Westfield Area Y and Furniture Assist. The Westfield Foundation favors grants for programs or projects which focus primarily on the community of Westfield or groups serving the Westfield community. The areas of focus include education; the arts and other cultural activities; civic, health and human services; community development; and the conservation and preservation of historical resources. Recipients for the year 2009 included The Alzheimer’s Association, Autism Family Tours, CONTACT We Care, Emmanuel Cancer Foundation, Habitat for Humanity, Home First, Jewish Family Services, Liam’s Room, Occupational Center of Union County, Our House, Inc., Rahway River Association, Summer Youth Employment, SAGE Elder Care and the Westfield Neighborhood Council. WESTFIELD FOUNDATION GRANTS–Ellie Mroz, from One Year For Cancer, and Candice Wicke, from the Continuo Arts Foundation, discussed how their grants will benefit their respective programs at the annual Westfield Foundation Corner-stone breakfast, held in early November at Echo Lake Country Club. 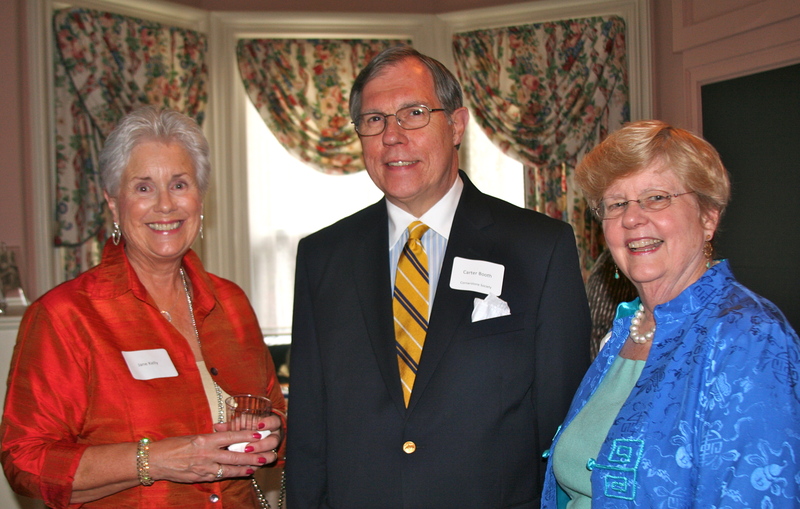 Pictured from left are Ellie Mroz, Barbara Ball, a former Foundation Trustee and chairman of the Cornerstone Society, and Candice Wicke. 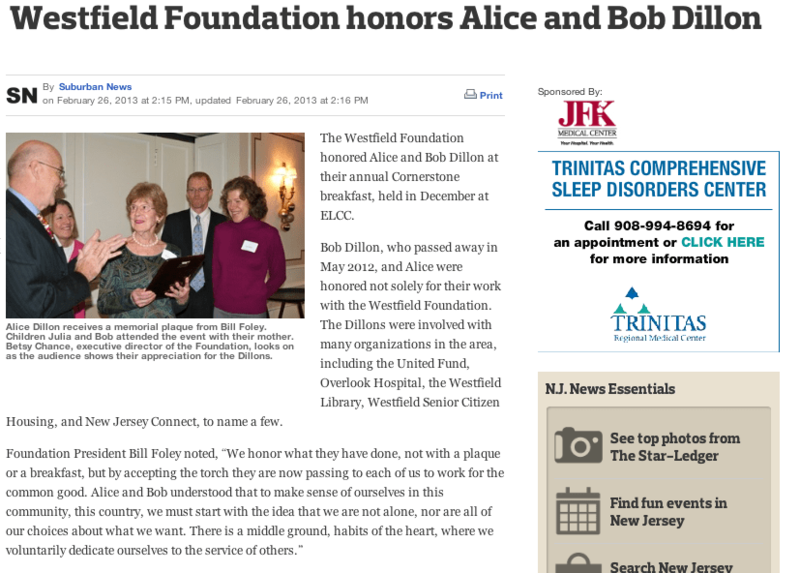 Westfield Foundation Announces 3rd quarter recipients for 2009. Westfield- The Westfield Foundation, a non-profit foundation whose mission is to promote the betterment of Westfield and its surrounding communities, has announced the recipients for the third quarter of 2009. The Foundation granted over $31,000 to 9 local programs and projects benefiting all segments of Westfield and surrounding communities. These grants will be used for such projects as providing mobile science centers for classrooms for children with cerebral palsy, safety equipment for frail elderly, restoration of gravestones in a local historical cemetery, a non-profit upstart being developed to connect volunteers with cancer-fighting organizations, and a bicycle program benefiting autistic children. This quarter’s recipients include: Occupational Center of Union County, the Cerebral Palsy League, YWCA Eastern of Union County, Continuo Arts Foundation, Jewish Family Services, Homefirst, Revolutionary Cemetery, One Year for Cancer, and Autism Family Tours. The Westfield Foundation started with an initial donation of $ 2,000 over 33 years ago. The Foundation fund is professionally invested and the income generated is granted to carefully screened applicants throughout the year. The Foundation has distributed over $4 million since its inception. 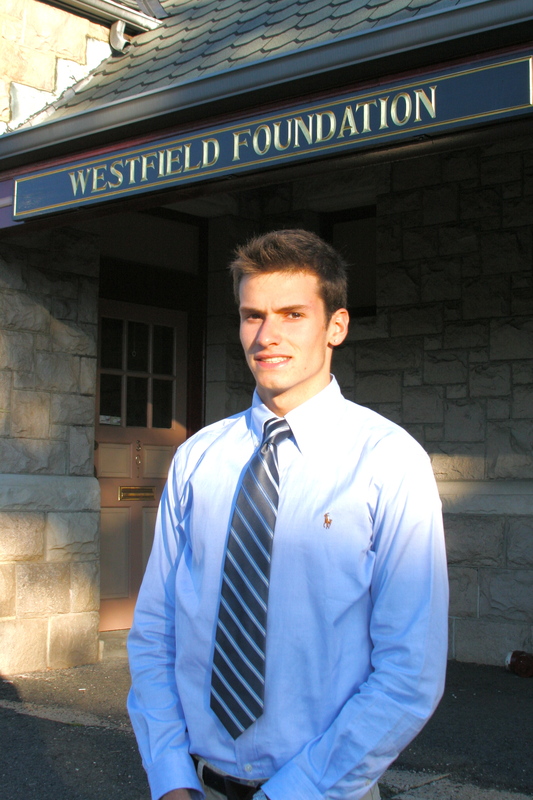 WESTFIELD–The Westfield Foundation, a non-profit foundation whose mission is to promote the betterment of Westfield and its surrounding communities, has announced the recipients for the second quarter of 2009. The Foundation granted over $24,000 to seven local programs and projects benefiting all segments of Westfield and surrounding communities. These grants will be used for such projects as restoration of a local park, building repairs for a local community center, counseling and emergency aid for cancer patients and their families, and updating office equipment and storage facilities.This quarter’s recipients include: Westfield Neighborhood Council, CONTACT We Care, the Emmanuel Cancer Foundation, Planned Parenthood of Union County, Summit Speech School, Optimist Club of Westfield, and the Rahway River Association. The Westfield Foundation awarded over $33,000 in grant money to 10 local organizations during their recent quarterly meeting. These grants will be used for such projects as supporting local concerts, enhancing a pubic park, purchasing radio equipment, providing respite program for caretakers and replacing the flags through Westfield. This quarter’s recipients include: Habitat for Humanity, Solid Brass Chamber Music Guild, NJ Workshop for the Arts, Westfield Volunteer Rescue Squad, Oratorio Singers of Westfield, Our House, Inc., Master Gardeners of Union County and the Alzheimer Association. The Alzheimer’s Association, Greater New Jersey Chapter presented the Foundation of the Year Award, one of its most prestigious awards, to the Westfield Foundation in honor of its outstanding contributions to improving the lives of people with Alzheimer’s disease and their families. Presented at a reception during National Alzheimer’s Disease Awareness Month – a time to recognize the impact of Alzheimer’s disease, which affects more than 350,000 New Jerseyans and their primary caregivers – the Foundation of the Year Award is one of four Circle of Honor Awards given annually by the Chapter’s board of directors. The Westfield Foundation Executive Director Elizabeth Chance (center) accepts the Foundation of the Year Award from Alzheimer’s Association Board Member Bert Bruce (left) and Board Chair John O’Marra, Esq. (right), at the Alzheimer’s Association 2008 Benefactors Reception. Pictured: Furniture Assist, a non-profit organization providing furniture, appliances, and other household items, free of charge, to families or individuals in need, is presented with a donation ‘check’ at the annual cornerstone breakfast held in November at Echo Lake Country Club. (left to right): Foundation Vice President Anthony J. R. Cook stands with Jill Brown, executive board member at Furniture Assist, and Foundation President Charles A. Kroloff. WESTFIELD–The Westfield Foundation, a non-profit foundation whose mission is to promote the betterment of Westfield and its surrounding communities, has announced the recipients for the fourth quarter of 2008. The foundation granted over $28,000 to eight local programs and projects benefiting all segments of Westfield and surrounding communities. These grants will be used for such projects as restoring the Westfield Town clock, offering courses for senior citizens, supporting a free orchestral performance, and providing scholarships for local youths to attend summer camp in Pennsylvania. Recipients for the fourth quarter include Youth & Family Counseling Service, the UCC Foundation, NJ Intergenerational Orchestra, the Westfield Community Players, Liam’s Room, SAGE Eldercare, Westfield Town Clock Restoration and Camp Speers-Eljabar. William Foley, Laverne I. Moore. and Richard Coltrera. WESTFIELD–The Westfield Foundation awarded over $45,000 in grant money to nine local organizations during their recent quarterly meeting. These grants will be used for such projects as improving Brightwood Park, supporting an after-school program for neighborhood students, purchasing a wheelchair accessible table for the disabled, and sponsorship of concerts for the local community. Officers of the Foundation for 2008-09 are Charles A. Kroloff, President; Anthony J.R. Cook, Vice- President; Victoria Wicks, Treasurer; and Warren K. Hanscom, Secretary. New trustees for 2008-09 are Richard Coltrera, William Foley, and Laverne I. Moore. This quarter’s recipients included: the Westfield High School History Department, the Rahway River Association, the Occupational Center of Union County, Jewish Family Services, Mid-Day Musicales, the Salvation Army, Furniture Assist, Home First, and the Westfield Community Center.